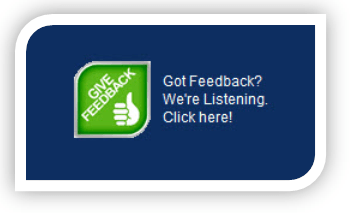 How well are you listening to the pulse of your website visitors? When so much time is spent on web design, development of great content, and the development of mobile optimised sites, how much time do we spend listening to our customers to see if our efforts are hitting the mark? Sure, measuring sales and inquiries from each page of your website is a strong indicator of a page’s effectiveness. But if we peak behind the front line numbers, what message are our clients trying to tell us? The key to truly optimising the performance of you website lies in the feedback of your website visitors. A 2013 study conducted by GE Capital Retail Bank has found that 81% of people research products online before making a purchase in store. In other words, a high percentage of purchase decisions your prospective customers are making are made without even engaging in conversation with you. Your website must be ‘on song’ or you risk losing sales. Hence the path forward is clear – remove the frustrations and roadblocks that your customers experience when visiting you online to increase the likelihood of purchase. Images, banner or links that pop open your survey upon being clicked. (NB: this is a more passive approach that doesn’t tend to result in response rates as high as some of the other options listed below). Side ‘Got Feedback?’ buttons that follow you down the page as you scroll. Pop up or slider windows that reveal an invite to provide feedback after a visitor spends a certain number of seconds on a page. Static banners that stay fixed to the top/bottom of the page. Page exit pop ups – when your visitor goes to navigate off the page or close a browser window they receive a message encouraging their feedback / making them a special offer. Email – if you have an email list of regular customers and/or site visitors you can simply email them a personalised survey regarding their use of your site. PeoplePulse surveys can be deployed using any one of these methods. The right delivery format for you and your website depends on factors such as your survey objectives, what you sell, and the type and frequency of site visitors. Your PeoplePulse Project Manager can assist you to select and execute the best approach for your requirements. All PeoplePulse website feedback surveys are 100% custom branded in your corporate style (we take care of that for you), and are completely mobile optimised to ensure your customers can provide insightful feedback no matter what device they are using. Statistical analysis packages such as Google Analytics only tell you half the story of your visitor’s journey through your site. To get the full picture you need to know the motivation and sentiment behind the mouse clicks – and that’s where visitor surveys come into their own. You’ll have access to fast, comprehensive, and share-able reports that give you a complete picture of the experience of visitors to your site. To select the best approach to reach your customers you need the right expertise. Trust our Project Managers to ensure your survey runs in an efficient and effective manner from start to finish. Filter customer results by rep, location, division, date or whatever variables interest your organisation. Our reporting is fantastic! When 1 in 4 surveys today are completed on a mobile device, it’s crucial your customers are presented with a mobile optimised survey. Rest easy – PeoplePulse detects this automatically and adjusts accordingly. Pop ups, buttons, banners, sliders, exit pop unders, and good old fashioned email. 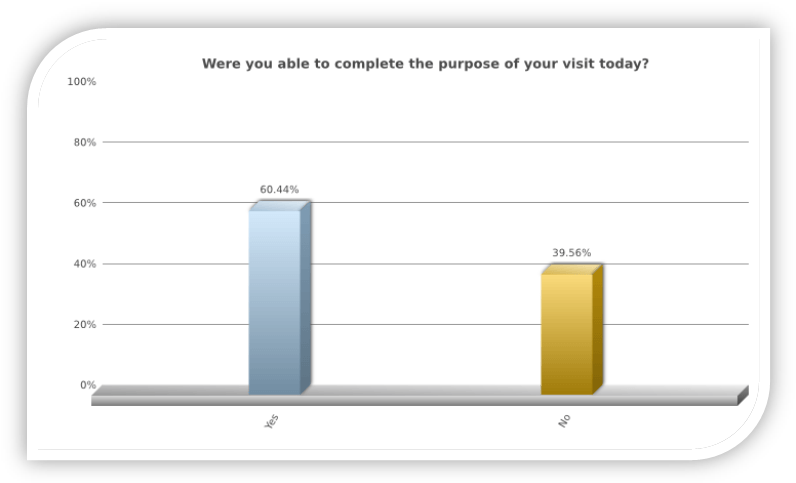 Irrespective of what method you prefer to deliver your survey, PeoplePulse can handle them all with ease. Want to know your respondent’s browser, country of origin, or the last page they visited? We can enable you to report on this information without having to ask the respondent to complete it. What Makes Us A Great Solution For You? At PeoplePulse we combine the very best in online survey software and reporting with your own dedicated Project & Account Manager. This combination of exceptional software and unmatched support & advice works to ensure that your website feedback survey is set up professionally without fuss, and that ultimately your survey delivers you the insight you need to make better business decisions.